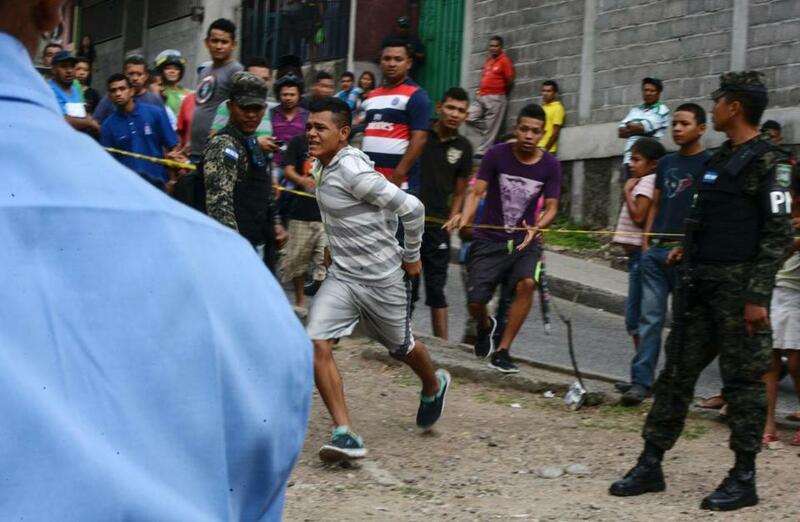 A boy runs toward the body of his father, a bus driver who was killed by alleged gang members for refusing to pay them a “war tax,” in Tegucigalpa on Wednesday. Honduras has one of the highest homicide rates in the world. Officials blame gangs and drug traffickers. OPPONENTS OF QUESTION 4 are wringing their hands over the wrong set of greedy capitalists. His argument echoes that of Governor Charlie Baker, Attorney General Maura Healey, and Mayor Martin Walsh of Boston, who in a joint op-ed bemoaned the “big businesses and investors” that are “spending millions on campaigns across the country because they will profit.” “Oppose the creation of a billion-dollar marijuana industry,” declares the website of the Campaign for a Safe and Healthy Massachusetts. Bashing tomorrow’s money-grubbing corporate marijuana titans must poll well. The thing is, the state already has a recreational pot industry, just not the kind that bothers with ballot initiatives or any other legal niceties. Instead, it’s part of a vast, multinational drug trade that keeps casual stoners well supplied — while murdering cops and priests and reporters and other innocents across the border in Mexico. If Massachusetts voters approve the legalization of recreational marijuana, pass the weed. We’ll need it. These networks exist to supply drugs that the US government long ago banned. But today we’re in a weird intermediate phase; in many states, “Reefer Madness”-style prosecutorial excess has given way to something short of outright acceptance. 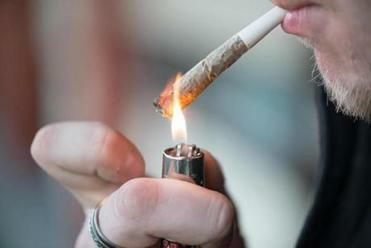 When a huge majority of Massachusetts voters decided in 2008 to decriminalize possession of small amounts of marijuana, the move did not create a legal supply of the drug — which has to come from somewhere. According to the Drug Enforcement Administration, Mexican cartels largely control the drug business in the United States. Marijuana accounts for perhaps 30 percent of their export revenues. Yet the suffering they inflict on people like that doomed 14-year-old boy is mostly far away. We can act as if it’s got nothing to do with Americans’ appetite for drugs. We can even pretend that drug violence is something Mexico imposes on us, instead of vice versa. Meanwhile, it’s easy to impugn the opportunistic — but nonhomicidal! — new entrepreneurs who want to profit off of pot right here in Massachusetts. In a free economy, most goods and services are produced and moved around by private individuals seeking private gain. But here in proper New England, making money in broad daylight strikes us as gauche. And in this bluest of states — this hotbed of organized labor, boomer liberalism, and feel-the-Bern campus fervor — the stereotype of business people as chiselers and exploiters remains powerful. Recent efforts by politically connected medical-marijuana companies to work the system behind the scenes aren’t helping, either. But when we fault legal pot companies for trying to make millions off their ganja, we’re giving a pass to the illegal for-profit drug trade we already have. I take no pleasure in supporting Question 4. I dislike marijuana. While good regulators can keep a legal industry from marketing to teenagers — Joe Camel, the cutesy cigarette mascot, is no more — I worry about the ballot question’s proposed licensing system, which seems ripe for favoritism, and its overall tax rate, which, at 12 percent, is far less than in Colorado or Washington. Beyond all that, I don’t know how far to push the logic of defunding cartels through the legalization of recreational use. Legal cocaine or heroin stores would also deny revenue to the Sinaloa cartel and its competitors, but with dire consequences for public health. Yet to judge from what Americans are telling pollsters, most of us see a distinction between the hardest drugs and mere marijuana. We sense that, in its potential to harm its users, pot is more akin to alcohol and tobacco — which we regulate, and even rely upon to support the government. But if we want government to lay off of consenting adults who smoke up in private, we should own that decision in its entirety by creating a legal trade in marijuana. Pot stores may be unseemly. Organized crime networks that slaughter people are infinitely worse. Dante Ramos can be reached at dante.ramos@globe.com. Follow him on Facebook:facebook.com/danteramos or on Twitter: @danteramos.